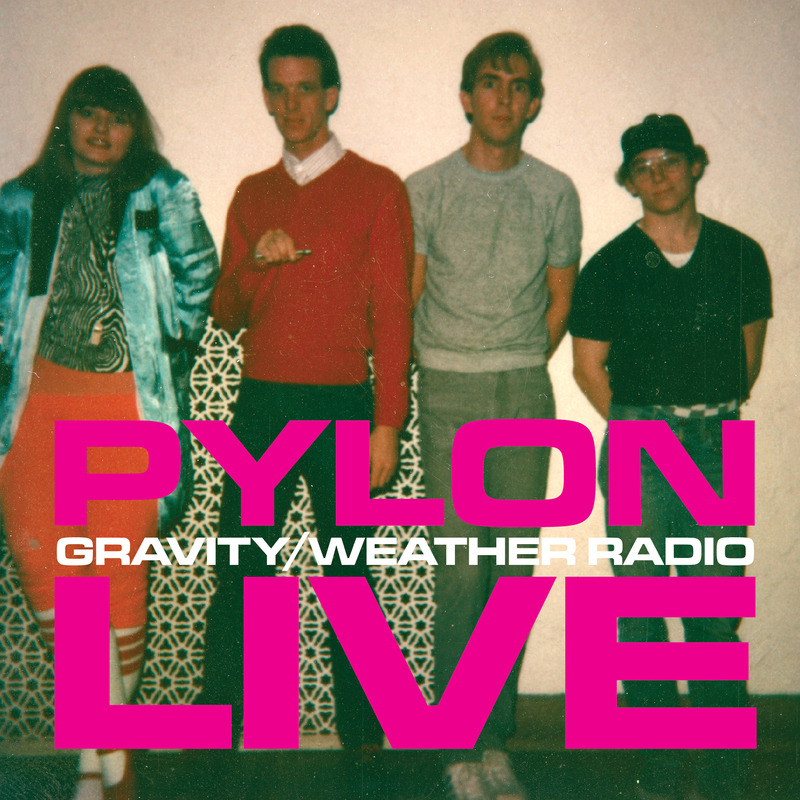 2016-10-26: Pylon’s Facebook is active, with news about Pylon Reenactment Society, media mentions, the release of Live, serendipity and more. 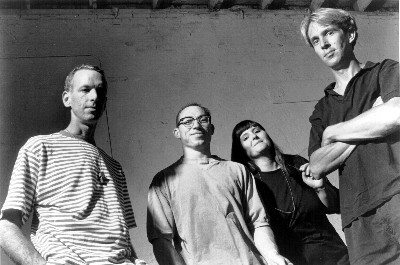 2016-02-15: We recently noticed that Vanessa is touring as Pylon Reenactment Society. Subject: New Pylon single now available! Hey, guess what?! 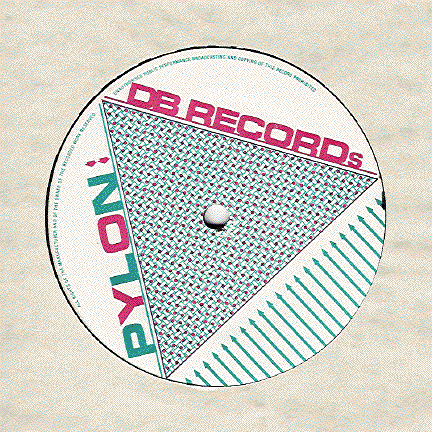 Our new DFA release is available today! It's called "Cover+Remix" and is available as a 2-song 7-inch vinyl single or a 3-song digital download. 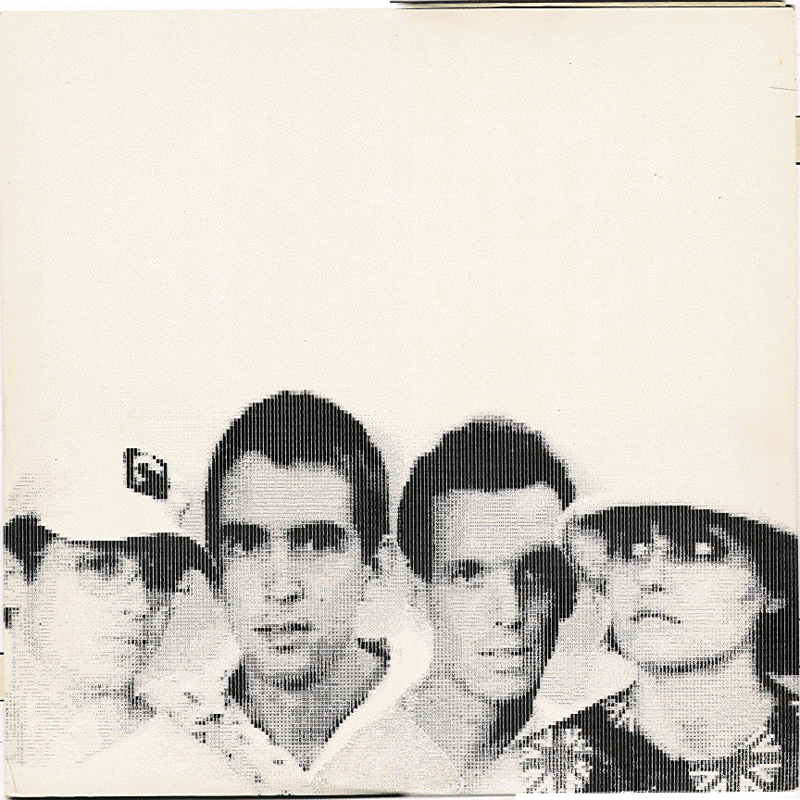 The A-sdie is Deerhunter's cover of Cool. 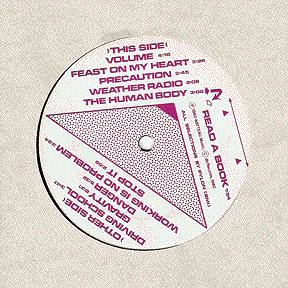 The B-side is Calvinist (Sasha Frere-Jones and Alexis Krauss) remix of Yo-Yo. Both sides are awesome, we love it and have been waiting a long time for this come out. Also, DFA says you can go to their Facebook Page to "enter to win one of 4 Pylon prize packs, including CD copies of both of their albums with the new 7-inch." Subject: Chomp More by Pylon is out on CD! Chomp is now available, remastered by Pylon. 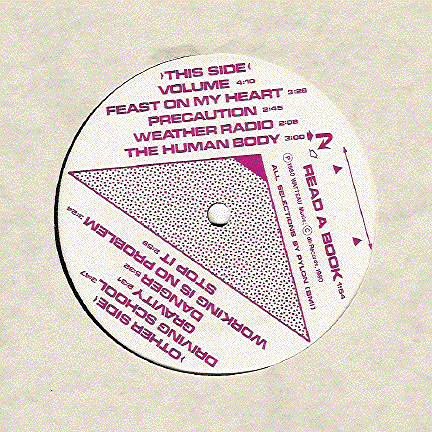 On DFA Records on CD + digital. It's up on iTunes now. Containing 4 additional tracks, dedicated to Randy Bewley. Links for purchase and other stuff on our website. Subject: Vanessa's Supercluster CD "Waves" now available! 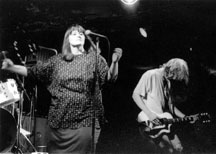 Vanessa Hay of Pylon and Hannah Jones started this band, Supercluster. 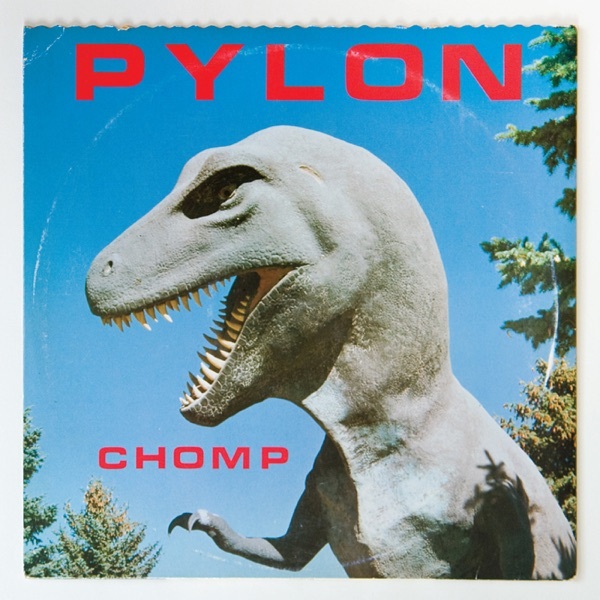 One member was Randy Bewley of Pylon. Their debut CD is out now, entitled Waves. October 22 at EARL in Atlanta, October 23 at Little Kings in Athens. Order the CD at athensmusic.net. Become a fan of the Supercluster Facebook Page for more info. Peep their window display at Wuxtry Athens. 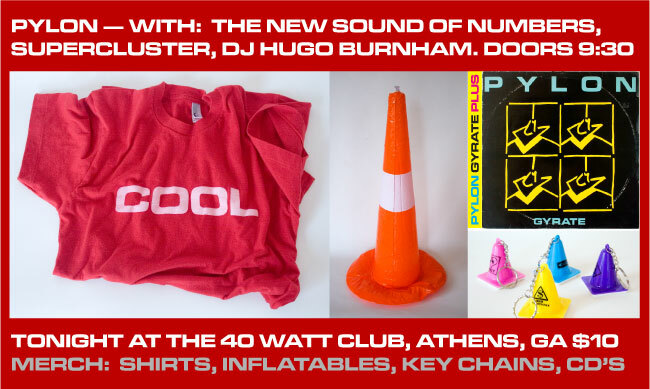 This email from Pylon, PO Box 749, Athens, GA 30603. Pylon's new limited-edition shirt remembers Randy while benefitting Nuci’s Space, the non-profit center in Athens that provides practice space and mental health assistance for musicians. 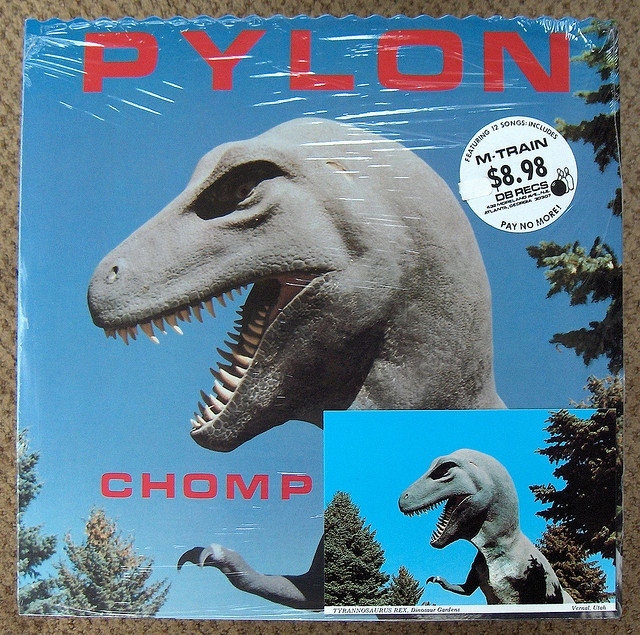 It’s where Pylon practiced. Available at Nuci’s booth at Athfest (June 26-28). Also available at the launch party for Young, Foxy & Free magazine – which features a tribute to Randy by Vanessa, Curtis and Michael – at Go Bar, Thursday June 25, 8-11PM. Vanessa’s band Supercluster will play after at Little Kings, 11:15 PM, free! Kick off Athfest with some Pylon love. This past Monday evening, Randy Bewley had a heart attack while driving his van on Barber Street in Athens, GA. He was taken to Athens Regional Medical Center. 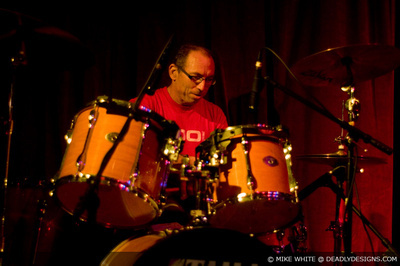 Today, our bandmate and brother passed away at a little before 5 p.m. with his family and friends at his side. He will be missed, even as we celebrate his life and creativity. His guitar sound was as special as he was and always will be. 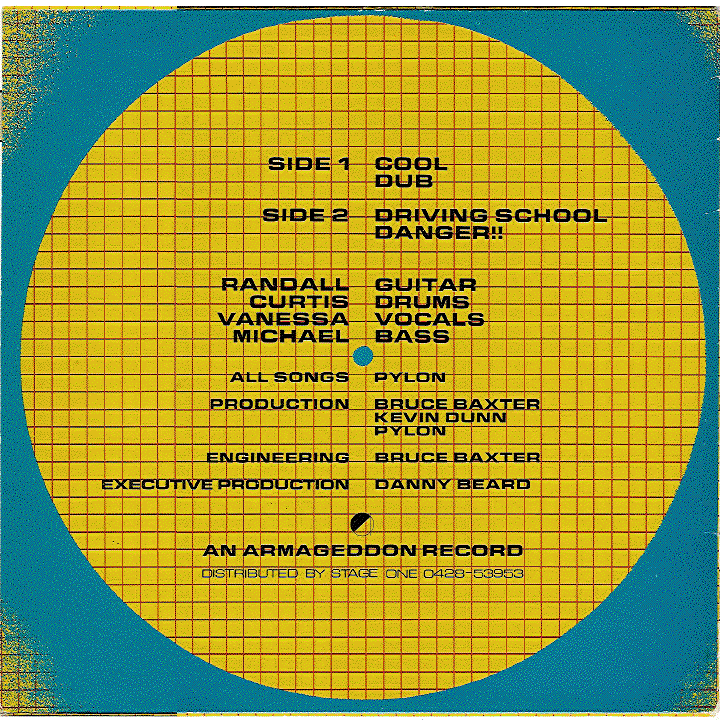 Randy's guitar work defined not only a generation of sound but Randy himself. His visual art, painting and photos, combined with his signature sound formed a loose set of boundaries that helps understand him. His quiet devotion to family and friends will become a benchmark for those he leaves behind. We did an interview with Rob Trucks at the Village Voice, and he suggested that we give away a song. 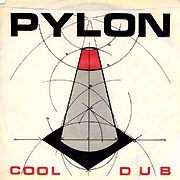 So for about a week, you can download Cool for free from Pylon, DFA Records and the Village Voice. 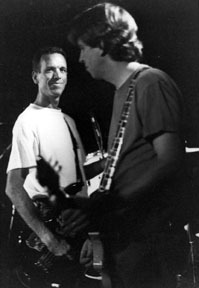 While you're there, if you can stand it, there is a long interview by Rob Trucks with Randy and Michael. "Like, you know?" 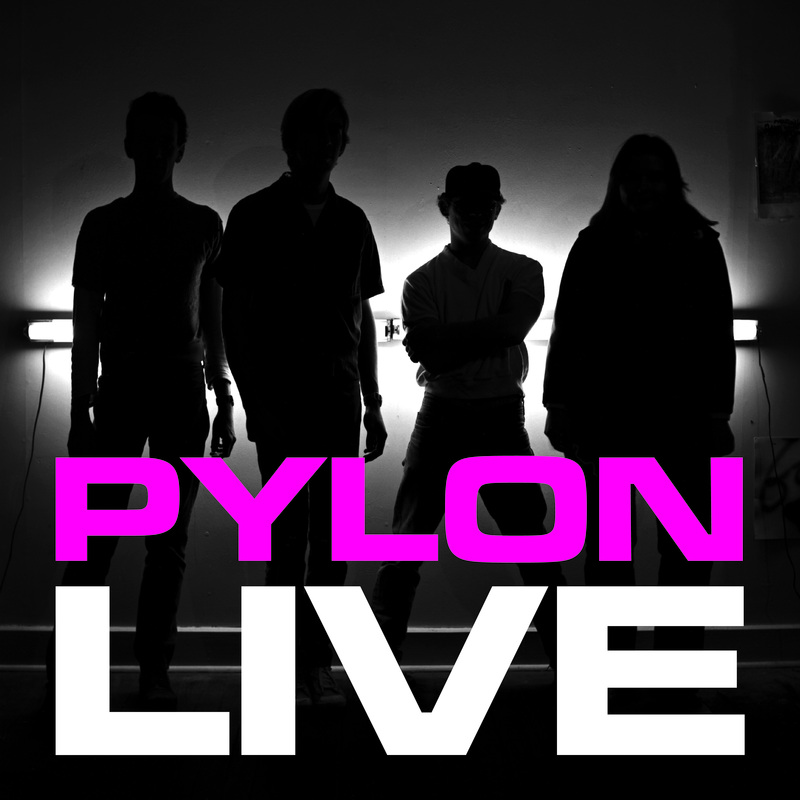 Pylon has a new Facebook page and is playing in New York on December 15. 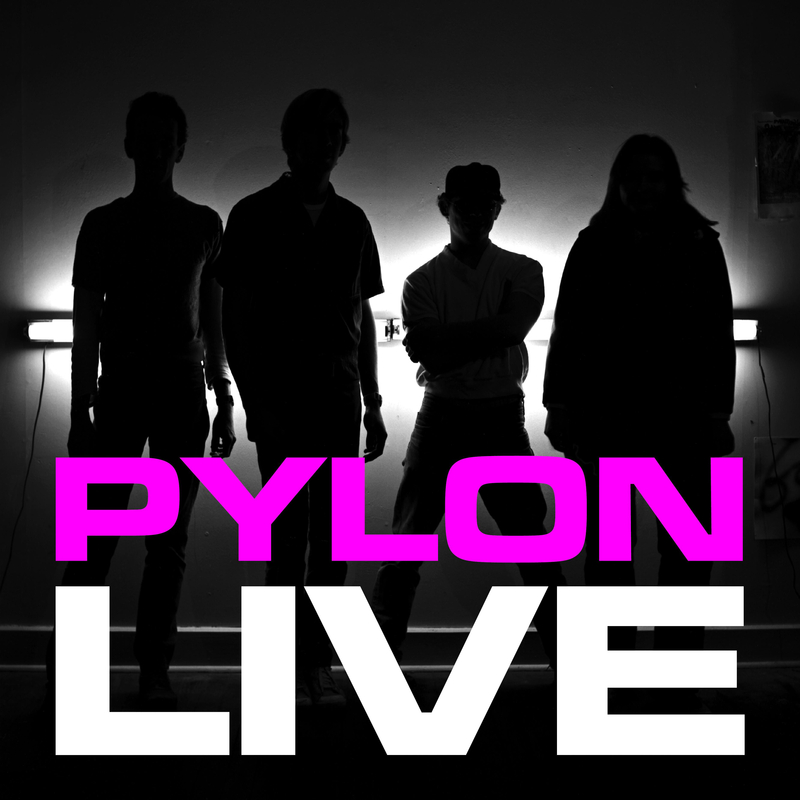 Pylon will headline at The Independent in San Francisco on Tuesday. Our set time is around 9:15. We'll be there with some copies of Gyrate Plus (DFA Records) and t-shirts for sale. Please spread the word! Spread the word! 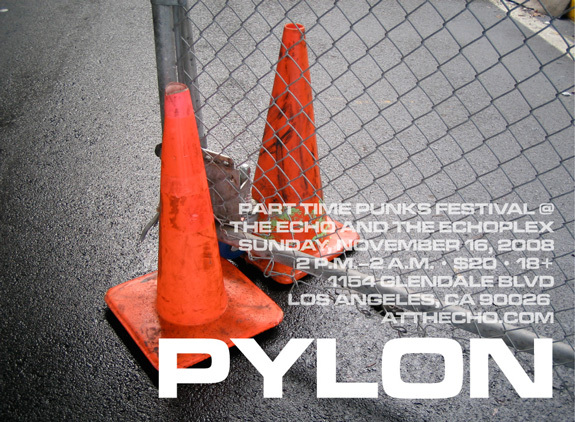 Pylon will be there with some Gyrate Plus CD's (DFA Records) and t-shirts. Also in SF on November 18. More details to follow! As part of AthFest 2008, the wonderful downtown cinema in Athens -- Cine -- has two offerings on Wednesday, June 18. 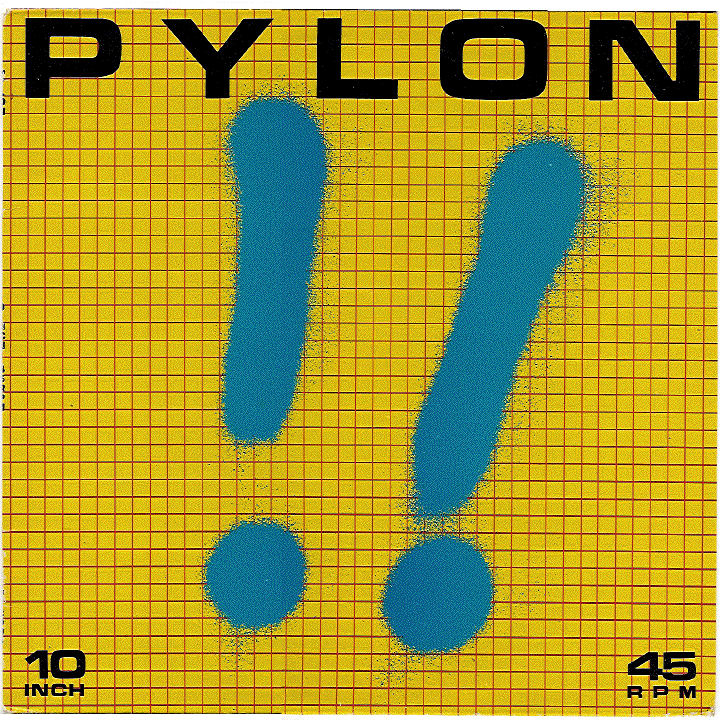 Both will include Pylon! 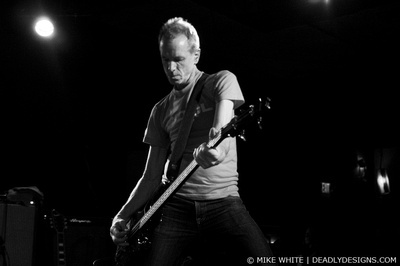 Pylon was recorded for the Virtual Lower East Side website at the Mercury Lounge back in November. If you missed us on our recent tour to promote Gyrate Plus, here's your chance to catch us live. 2008-01-07: HARP magazine published an interview. 2007-12-16: deadlydesigns.com published photos of the 2007-12-07 40 Watt gig. 2007-12-06: Well-Rounded Radio published "music and conversation with Pylon". 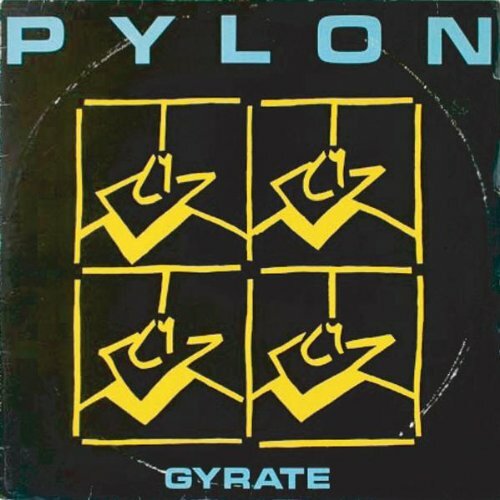 2007-10-23: In the wake of Gyrate Plus's release: Pylon's MySpace has a nice "About" writeup. deadlydesigns.com published photos of the Gyrate Plus release and signing event at Wuxtry Records. Mojo magazine published an homage by Mike Mills in its November 2007 issue. Flagpole published an interview with Michael. The Village Voice published a review. session. Starting at 11:00 PM until 1:00 AM, we'll be there at 197 E.
2007-10-03: it appears that Vanessa's MySpace and Vanessa's Blog are the best sources for Pylon news these days. 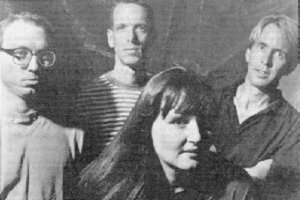 Recent entries announce a northeast tour and a 2007-11-07 show at the Mercury Lounge in New York City. 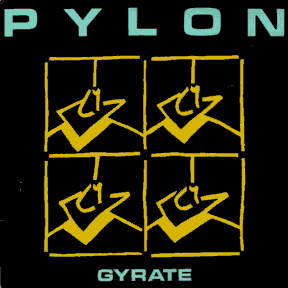 On 2007-10-03 [and coincidental to the above note], Pylon announced via email the Mercury Lounge gig and an October 16 release date for the Gyrate reissue. On 2007-04-03, a cryptic message was sent to the wearepylon mail list. 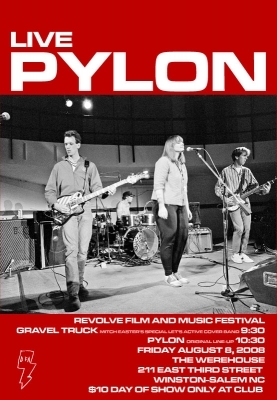 Could Pylon be playing at the "Little Kings" space at Hancock and Hull? Yes! 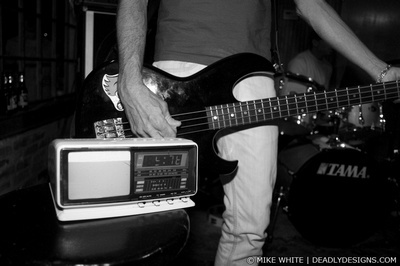 See Pylon's MySpace page friends comments starting Apr 5 2007, Vanessa's version, and the deadlydesigns photo gallery. 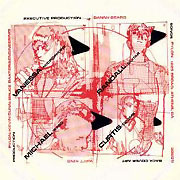 On 2007-02-23, Vanessa announced plans to re-release Gyrate through DFA Records. The re-release is "tentatively scheduled" for Fall 2007. 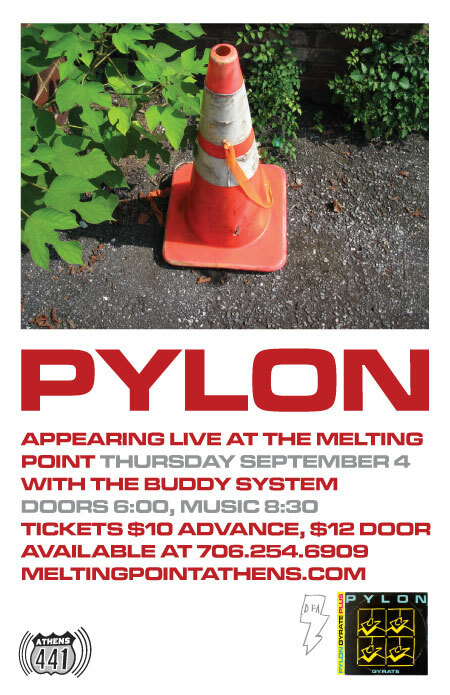 On 2004-08-05, Pylon reunited for a one-shot show in Athens, Georgia, USA. The Day Jobs published a teaser, photos and notes. They report on plans for a two-disc set in the coming year. They also note an upcoming interview and Pylon's website. 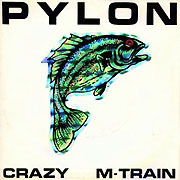 On 2004-08-12, Creative Loafing published a brief article about the show, "Pylon rides the M-Train again". 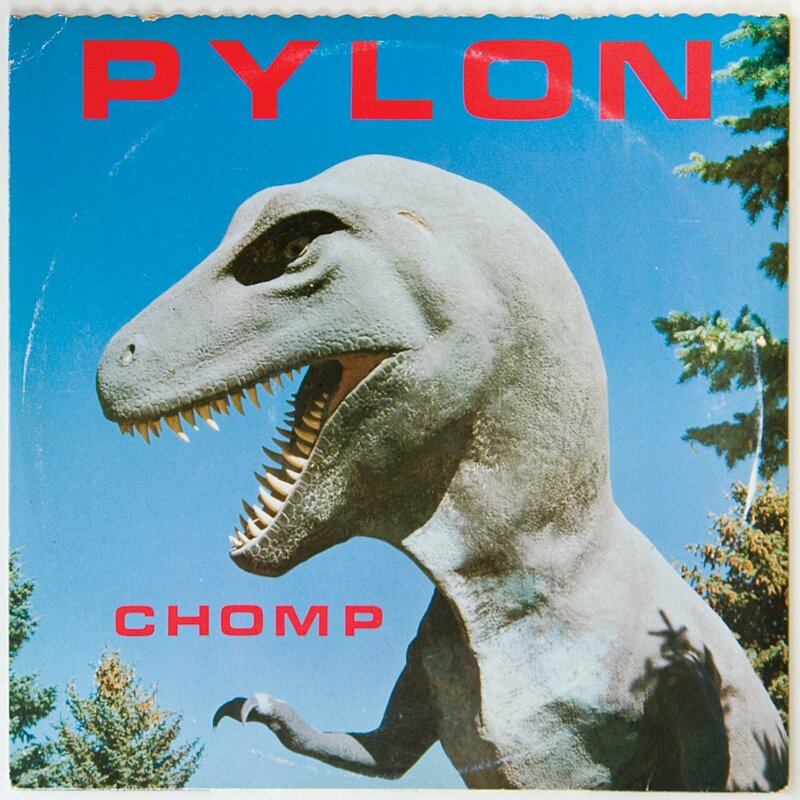 On 2004-08-18, Flagpole published two reports on the reunion show, "It's Alright, Pylon Is Here (Again)", which includes an interview, and "Rocking Is No Problem". Thanks to the aolnymous person who sent a photo and movie from the scene. They will be posted eventually, along with a silly story about my "reunion experience." On 2004-12-31, Pylon performed at the 40 Watt Club. Flagpole published a preview article, "Pillar Of The Community". tch3 published a nice photo album. 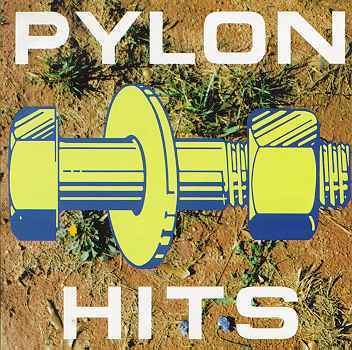 On 2005-04-21, Pylon performed at the Atlanta Heroes Awards. 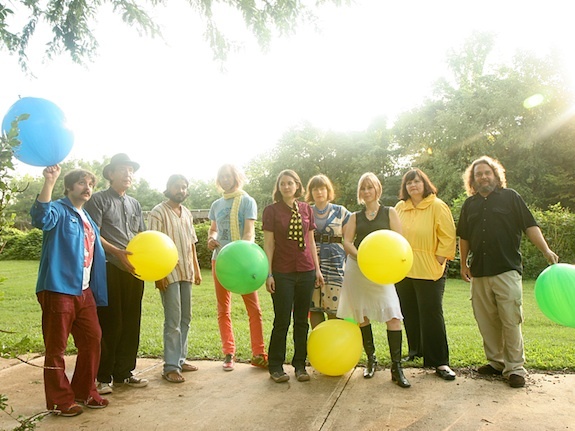 On 2005-06-24, Pylon performed at AthFest. 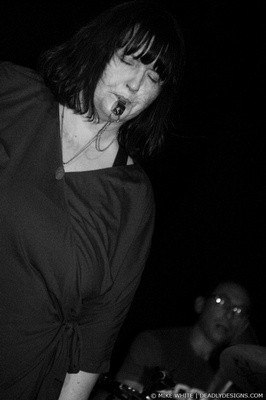 On 2005-07-07, Pylon performed at The Earl in Atlanta. 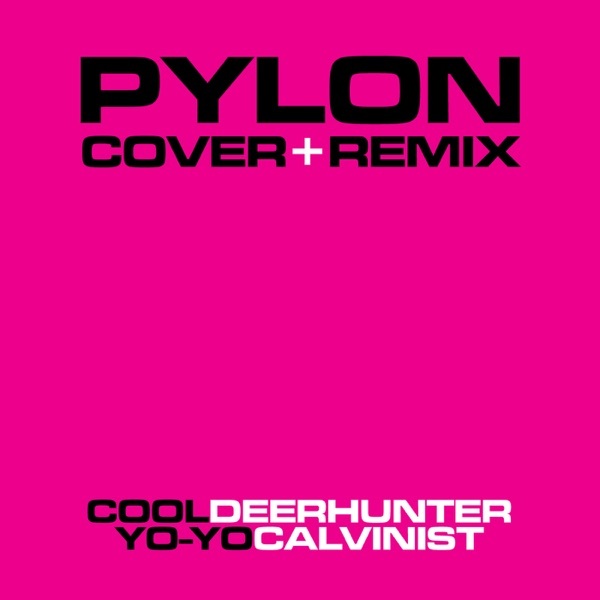 On 2005-07-29, Pylon and Oh-OK performed at Rewind. 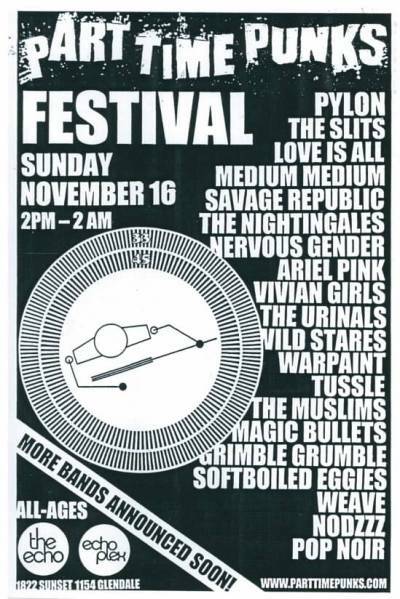 On 2005-08-12, Pylon performed at Popfest. 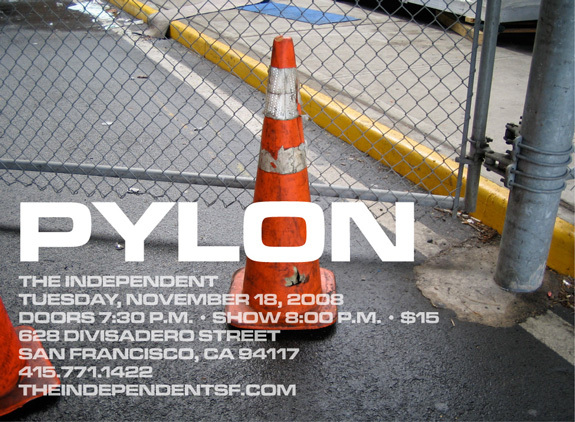 On 2005-09-29, Pylon performed at Nuçi's Space. 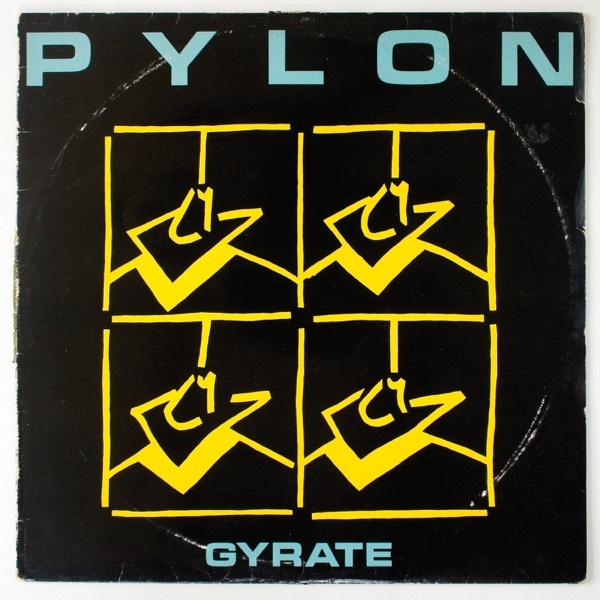 Was this web page responsible for Pylon's reunion? Let's see: website goes up, various members of Pylon correspond, we hook up Mark Maynard for interview, interview is reprinted in Flagpole, Randy sends email noting refound fame, Pylon reunites. Hmmm. 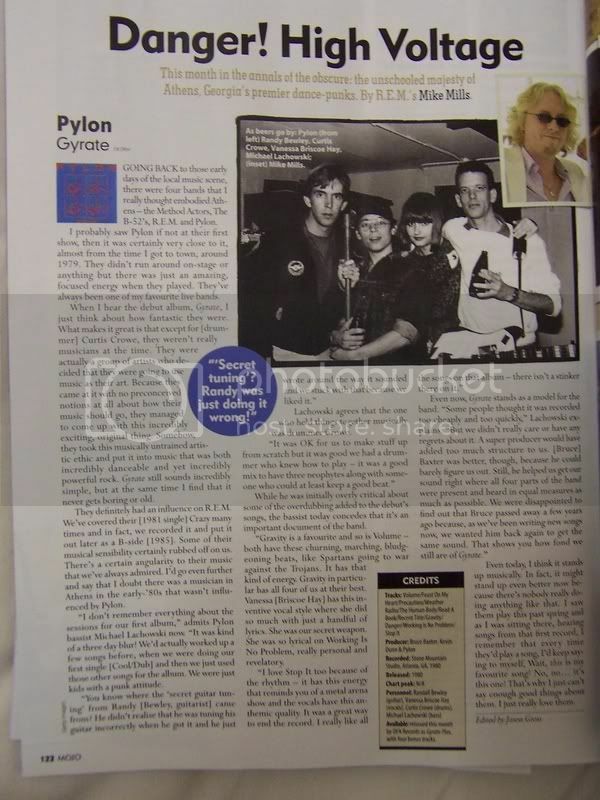 In December, 2002, Mark Maynard published an interview with Pylon in his magazine, Crimewave U.S.A. We reprint the interview with his kind permission. Flagpole reprinted the interview in its 03/12/2003 edition. On 06/17/2002, Vanessa wrote, "There will be an exhibit that opens later this month called Party Out of Bounds in Macon, GA at the Ga Music Hall of Fame. It will run through August. 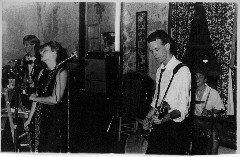 We loaned some stuff to the Georgia Music Hall of Fame as did many other Athens bands." 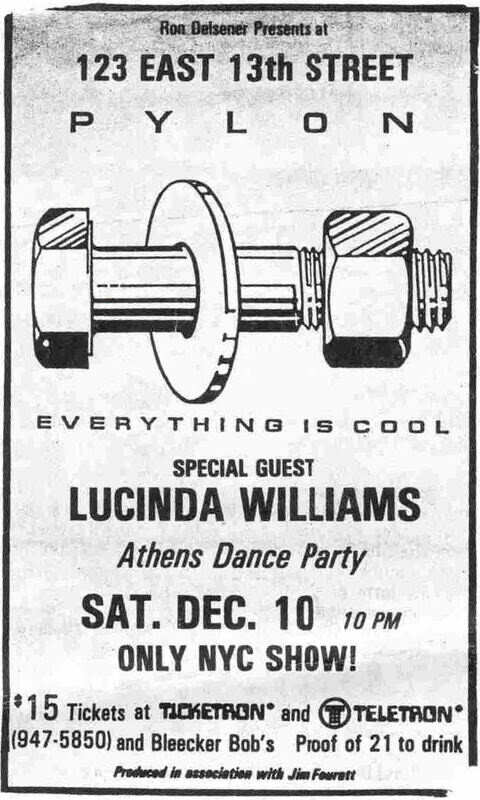 On 07/23/2001, a friend of Michael's wrote, "...in addition to his work as a DJ and graphic designer, he is now very involoved in creating a techno scene in Athens as well. You can check out his latest stuff and drop him a line at www.candysticker.com." Vanessa is a registered nurse, the mother of two girls and married to Bob Hay, the former guitarist for the Squalls. Randy is the father of two boys and teaches art at an elementary school. Curtis is the father of a boy and a girl and works for TV shows and movies as a carpenter. Michael has a graphic design agency and DJ's at Athens-area clubs. 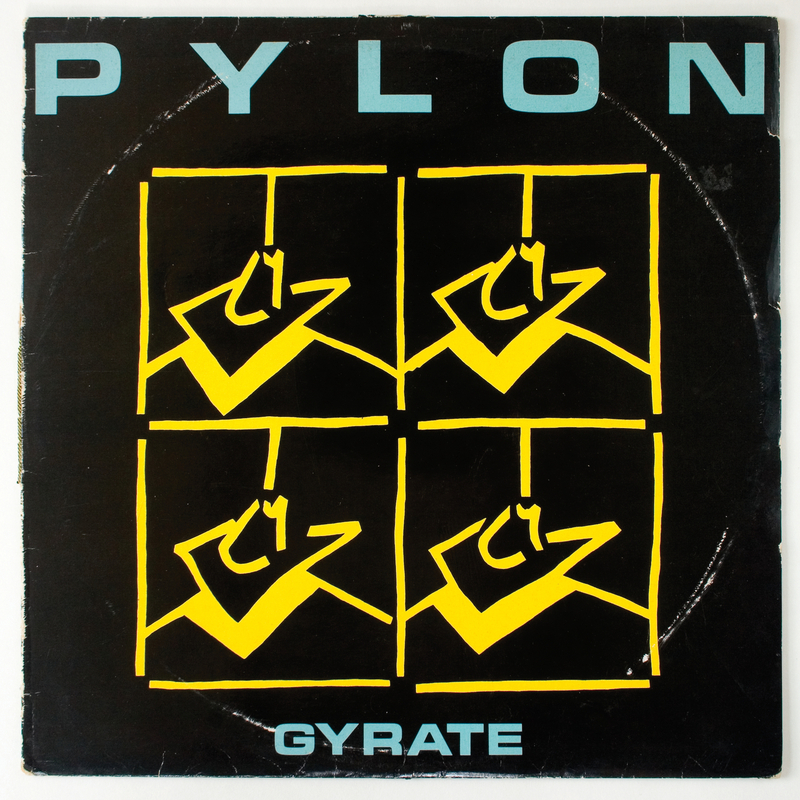 None of the members of Pylon is making music. Atlanta Journal-Constitution article transcribed by an Indigo Girls fan. Thanks to D-Fish for finding this. 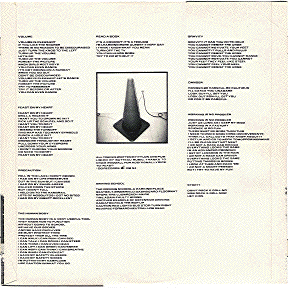 Piero Scaruffi's History of Rock Music in Italian; translate. 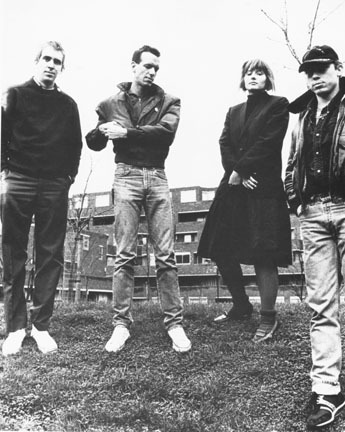 Old Punks Web Zine Scroll down for Pylon. Search Results Pylon | nyctaper (2016-10-25) via Who’s linkin’ to the out-of-date URL? 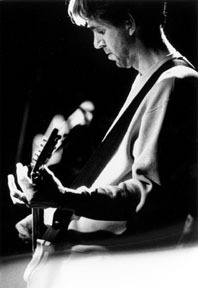 This photo appears on the cover of Backstage, the newsletter of the Georgia Music Hall of Fame, published c. June, 2002. Courtesy of Vanessa. 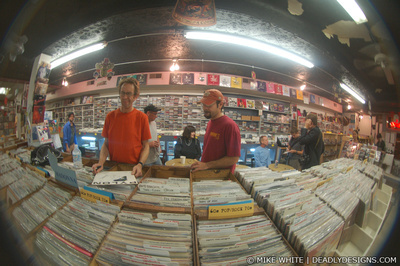 In 1992, I encountered a Muze kiosk in the Tower Records Pasadena (California, USA) store. You entered the names of artists or recordings. The kiosk searched. You selected a subset of the search. The kiosk spit out a piece of paper with your selections. The paper told you where you could find the recording in the store. Presumably, if the recording was not in stock, a store employee could scan the bar code on the paper and place a special order. W00t! Of course, I looked up my favorite band. Want to program that CD player to play Hits in their original order? Refer to the first column! 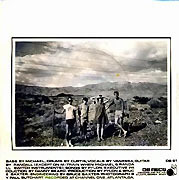 The Hits liner notes indicate that track 18, "Recent Title," is from Gyrate, but that track is not on my copy of Gyrate. On February 23, 2001, a correspondent informed me that there are two versions of Gyrate. 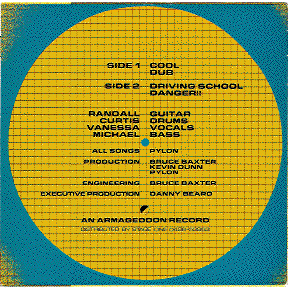 One version, which the correspondent bought around ten years after I bought mine, contains "Recent Title" in place of "Driving School" on side 2, track 1. No endorsement of the sites listed here is expressed or implied. 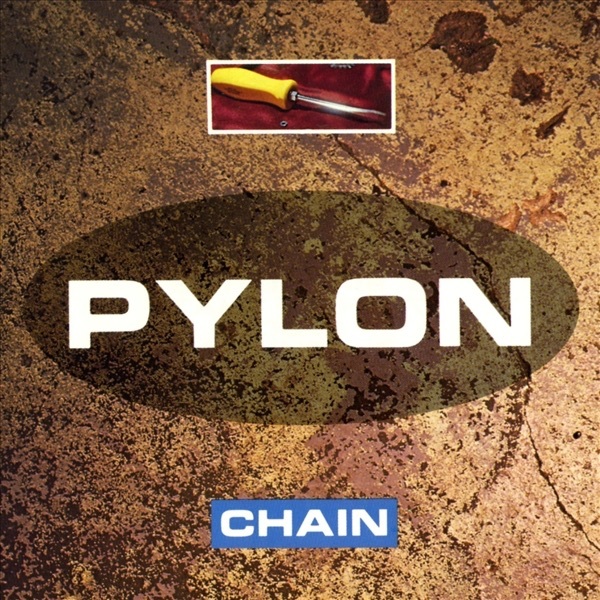 The preferred URL for this page is https://pylon.pyrzqxgl.com/. Comments? Questions? 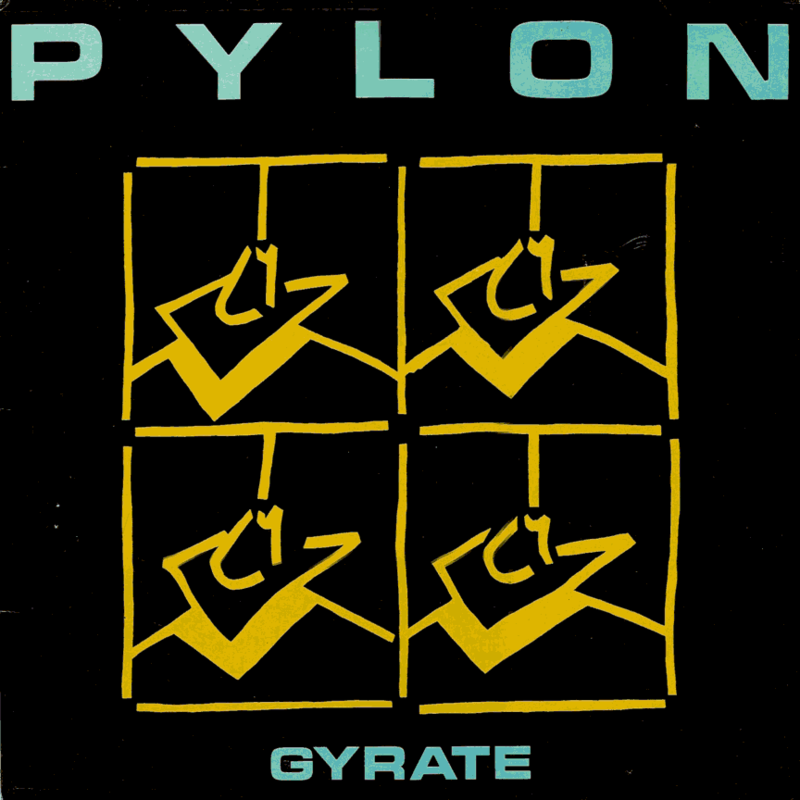 Email to pylon(at)pyrzqxgl(dot)com. 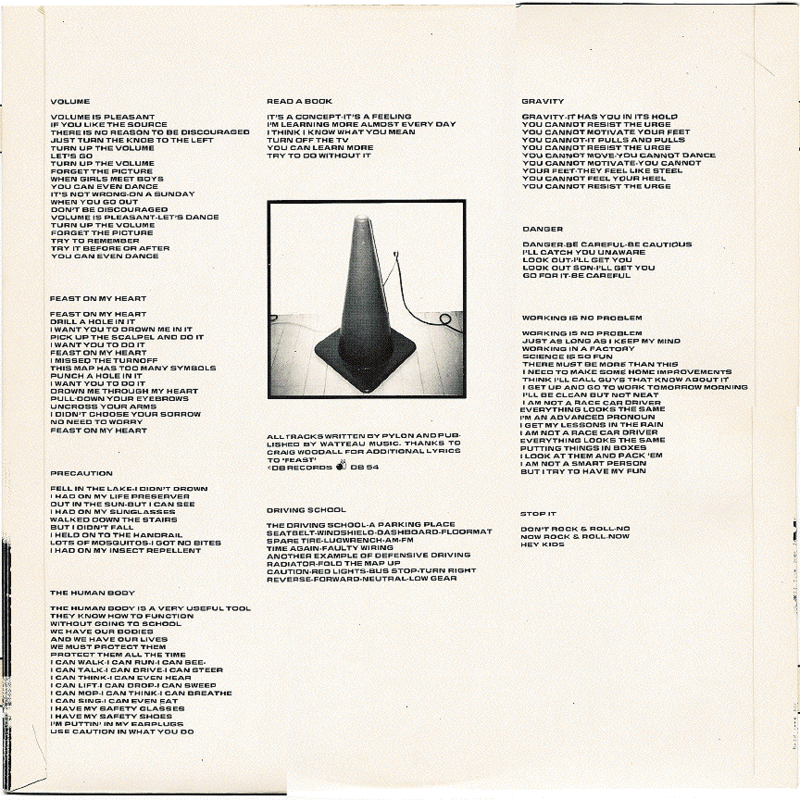 2018-08-08: we added a “PYLON Eurostile” alternate style sheet.